* Eight Style B (Class B) Initiating Device Circuits (IDCs). * All zones accept two-wire smoke detectors and any normally-open contact devices. 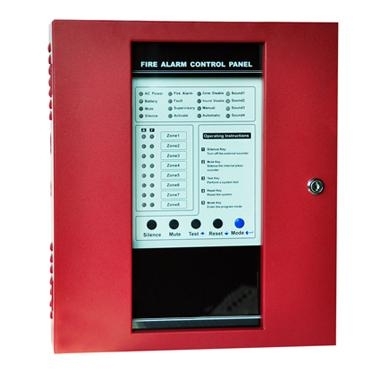 * Four built-in, Style Y (Class B) Notification Appliance (Signal) Circuits (NACs). * Alarm, Trouble and Supervisory, Form-C relays standard. * Resettable four-wire smoke detector power @ 500 mA. * Non-resettable power @ 500 mA. * One-man walk-test programmable for silent or audible test. * Disable/Enable control per IDC.